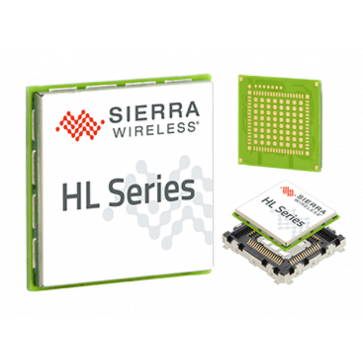 Sierra Wireless AirPrime HL7539 is a 4G/LTE Cat4 embedded wireless module that provides data connectivity on wireless networks.The AirPrime HL7539 IoT modules is the smallest, scalable, flexible solution in a compact and easy-to-integrate form factor that is completely interchangeable among 2G, 3G, and 4G technologies. Compact form factor, network scalability, and ready-to-use firmware upgrades make these modules ideal for industrial M2M solution designs where size and deployment longevity are important considerations. AirPrime HL7539 and HL7538 are both for carriers in Japan, but not same one, HL7539 is for NTT while HL7538 is for KDDI.